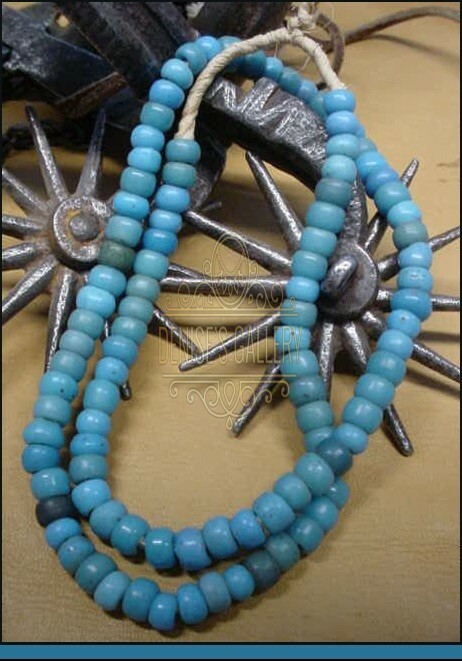 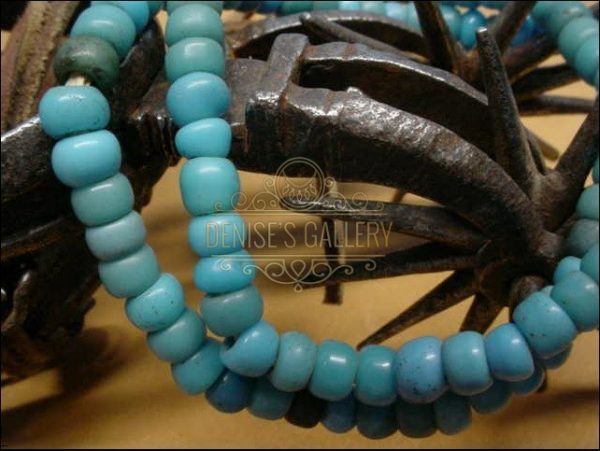 These are Genuine Glass Trade Beads that were made in Europe and traded in Africa during the Fur-Trade / Rendezvous Period over 150 years ago ~ Highly Prized by Indians, Mountain Men & Trappers to wear and decorate their Regalia; and to obtain furs, horses, or much needed supplies thru trade. 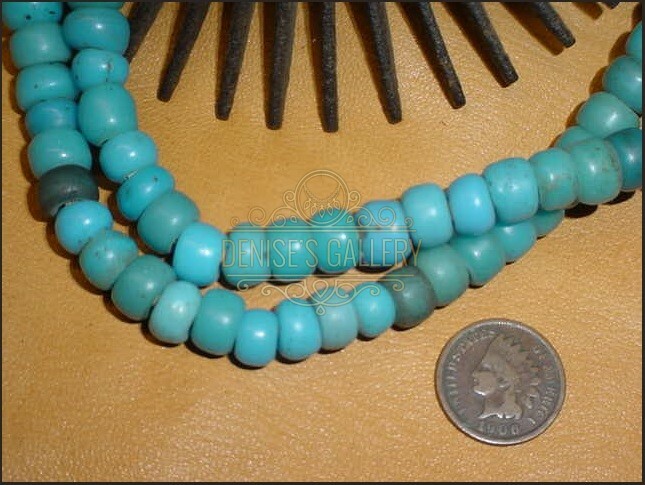 Approximate age is late 1800 to early 1900’s. 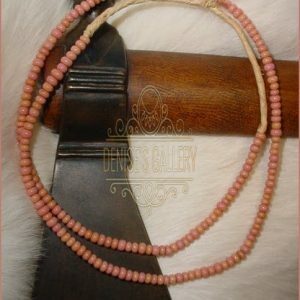 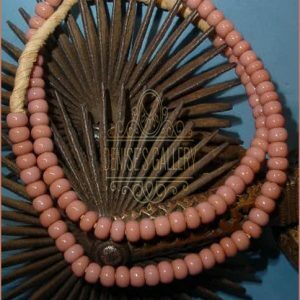 Looped Strand measures approximately 26 inches long, containing 100 + Antique Padre Beads, measuring approximately 3/8 inches in diameter. 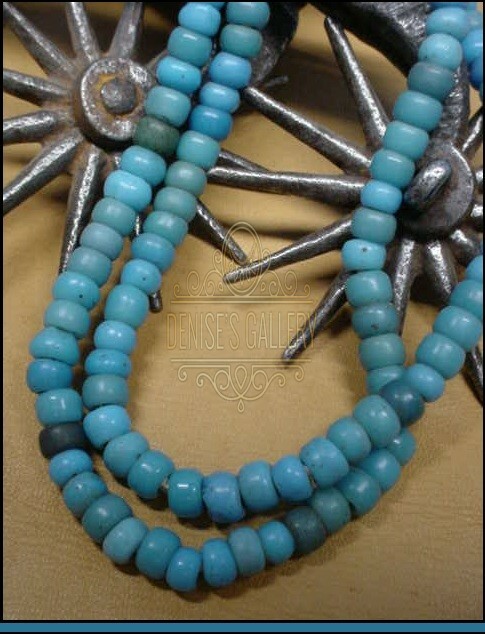 Hole size: 3 – 4 mm inside diameter. 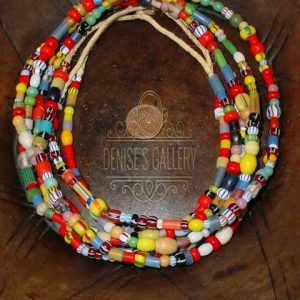 These Authentic, Antique Glass Trade Beads show some wear, as can be expected due to being packed & bartered around the world, commensurate with age & use, yet remain in Nice, to Very-Nice Condition Overall.